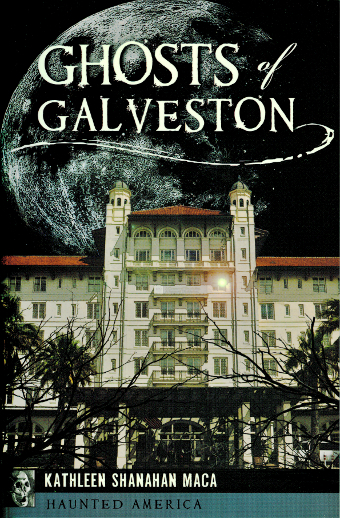 Saturday, October 22nd, 2016, 2:00-4:00 p.m.
Kathleen Shanahan Maca joins us on Saturday with her new haunted history of Galveston. Galveston has witnessed more than its share of tragedies. Devastating hurricanes, yellow fever epidemics, fires, a major Civil War battle and more cast a dark shroud on the city’s legacy. Ghostly tales creep throughout the history of famous tourist attractions and historical homes. The altruistic spirit of a schoolteacher who heroically pulled victims from the floodwaters during the great hurricane of 1900 roams the Strand. The ghosts of Civil War soldiers march up and down the stairs at night and pace in front of the antebellum Rogers Building. The spirit of an unlucky man decapitated by an oncoming train haunts the railroad museum, moving objects and crying in the night. Kathleen Shanahan Maca explores these and other haunted tales from the Oleander City. 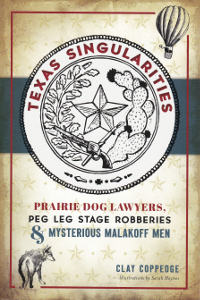 Kathleen Shanahan Maca lives in Clear Lake, Texas, and works in Galveston writing about its history. 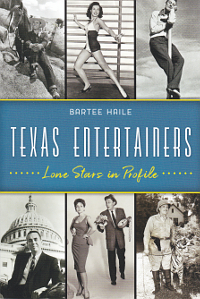 A graduate of Sam Houston State University, she is the author of Galveston’s Broadway Cemeteries from Arcadia Publishing, and a member of the Texas Chapter of the Association for Gravestone Studies. A fan of ghost stories and legends since she was a child, she uses her experience in historical research and genealogy to add dimension to local folklore.